Sync Music Listening Sessions get your music heard and get essential feedback from top music supervisors in TV, film, video games, ads, trailers, brands, apps and the internet. Here’s how it works. Every week, we hold a two-hour online listening session with a top music supervisor that’s strictly limited to twenty registrants. We do this to make sure all participants get heard, get to interact and get their music evaluated. Every participant will submit a song for evaluation to us for listening during the session by the guest music supervisor. Every participant will get a video archive of the session, and all Listening Session playlists will be posted on the SyncSummit website and promoted to our 40,000 person mailing list. Every Sync Music Listening Session get your music directly into the ears of a music supervisor who’ll get you valuable feedback – and you’ll make a valuable new connection. And though we cannot guarantee your music will be used in a project, getting the advice from and connection to key decision makers will give you the invaluable feedback you can use to fine-tune your approach to music supervisors and their projects. The Sync Music Listening Sessions are a premium product with a strictly limited audience and in order to support our costs and the time, effort and energy of our guests, they are priced at $150 per session. This includes participation in the session, evaluation of your music, inclusion in the session playlist and promotion after the event. 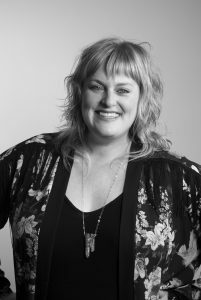 Kristen Hosack is the Music Supervisor within Saatchi & Saatchi. She oversees the musical components across Toyota North America’s mass marketing campaigns, including their 2018 Global Olympic campaign efforts, as well as some of the global creative work for ASICS and local creative for the LA Chargers. The Sync Music Listening Sessions connect and your music to a top music supervisor who will listen to your music, give you invaluable feedback and connect with you on a personal level. The Sync Music Listening Sessions are strictly limited to 20 participants, so every single person gets one song of their music listened to, evaluated and shared with the people working on some of the top projects in TV, film, video games, trailers apps, ads, brands, and the Internet. You’ll be able to ask questions, and all playlists from the songs played in the session are archived and shared on the Sync Summit Listening Sessions website.